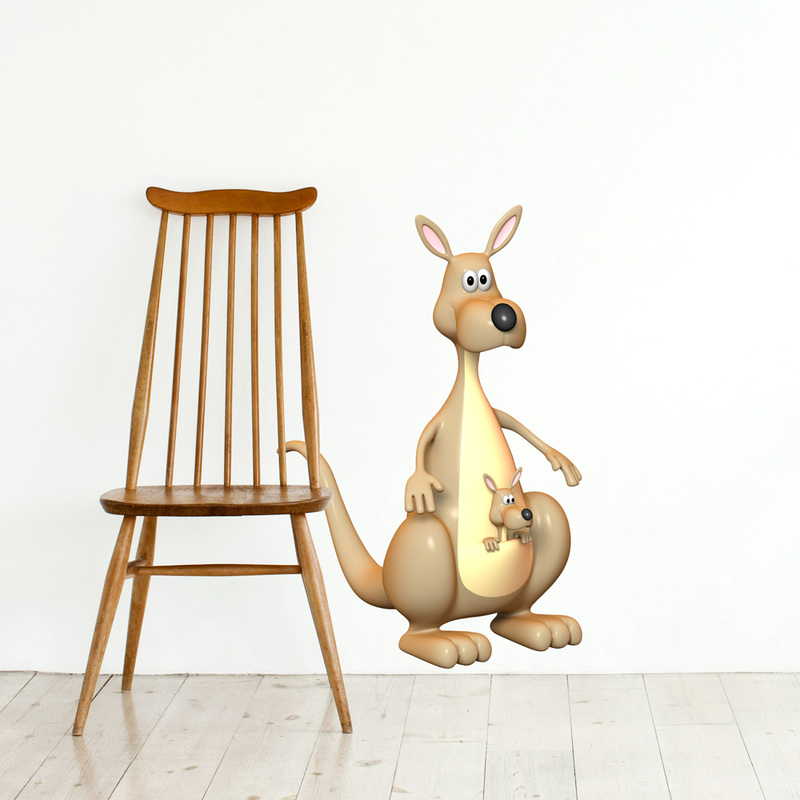 Hop around with this mama kangaroo and her baby to turn any room into a wild adventure. 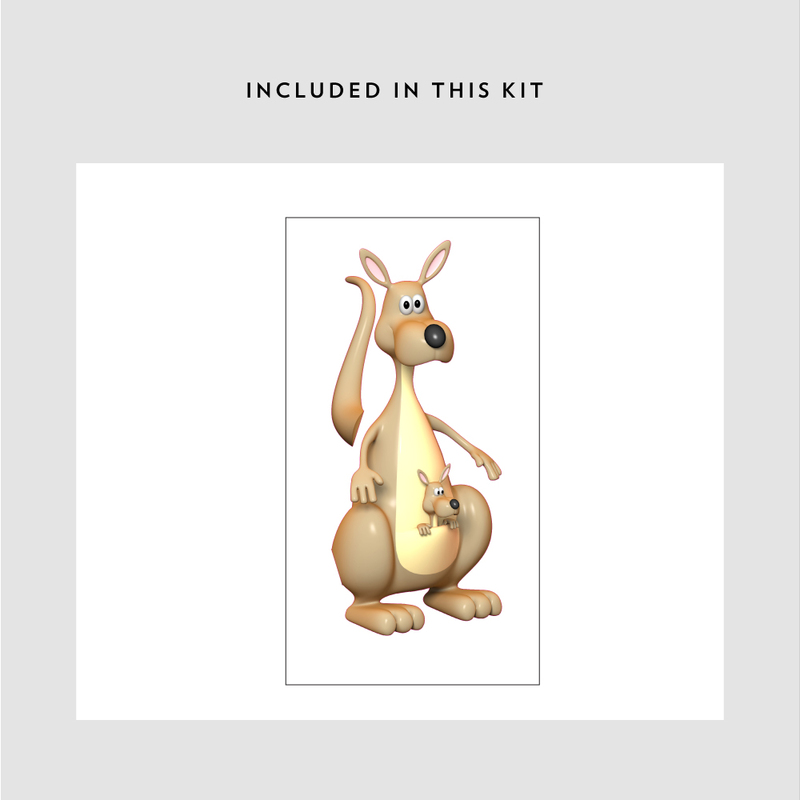 The perfect addition to any kids room, nursery, or bathroom. 3D refers to the shading and lighting of the design.